Moving back to NJ after 19 years in Kalifornia ( Morris County). It's hard to get a definitive answer here or on other forums that I've READ..so I thought I'd ask. Even the DOJ or NJ State Police are vague on their websites.. I have a 'sporting' rifle (MP15T) with the Bullet Button. I know if I keep the BB or replace it with a regular mag eject, I can only have 1 feature ( has adjustable stock, flash suppressor, pistol grip). I was originally going to add a Spike's Dynacomp (pin/weld) and a stock lock or similar, and keep the grip. Question 1...if I do a Ca compliant fix like the Juggernaut Tactical Hellfighter or other solution ( fixed Mag ), am I NJ compliant as well? Question 2: Moving...I'm aware I can ship firearms to myself as long as I put my name and 'In Care Of' on the boxes...any recommended service like FedEx or UPS that others have used without hassle? Ammo as well ( UPS will do with the ORD sticker...). It's not too gun friendly here either, any suggestions appreciated, less stress as possible. Has anyone tried 'SMG'..Ship My Guns? I believe can ship to an FFL if necessary or even transport on the flight back as long as its checked, but not a great time for some mishap or screw up.. But will the sport rifle be allowed checked baggage as well? I've never flown with a firearm. you don't buy a grenade launcher. WHY would you move to Morris county, with America (Pennsylvania) just a few short miles down rt 80? Do you have a home already in Morris County? I am selling mine in Randolph if you are interested. Getting the F out of the socialist people's republic of New Jermany. I’m not so sure that info is correct. Having a bullet button IMO makes the rifle a non detachable magazine similar to an SKS or FN-49 in which case evil feature game isn’t played. Both the FN-49 and SKS mags can be removed with a bullet as well. Unless I missed something where NJ addressed bullet buttons I would say you can leave the rifle as is because the magazine isn’t anymore detachable than an SKS or FN-49. Appreciate the responses...very hard to get verification. I may try either the new BB that has a 3 way setting to lock the mag or make the button work, (emailed them today for verification) using a set screw setting. Also toying with one of those bolt catch release things that make it single shot. I know, defeats the purpose, but I generally single shot anyway. 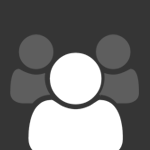 Better than featureless to me. 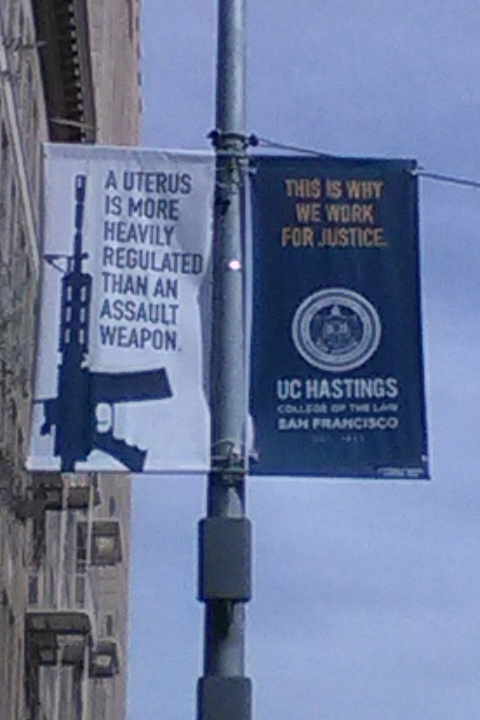 Thought I'd share the propaganda in San Francisco today.. NRA members are being called ISIS and terrorists. Really getting to be ultra toxic...at what point does it end ?? Liberals are so twisted. Murdering scum referring to the uterus not the baby. My FFL agrees with my assessment of the bullet button. Also I am sure he agrees with my assessment of Liberals as well. relatives...on a lake...my own cabin...cheap rent...and I grew up near there. Unfortunately the state is even worse than when I left but...it's home. Love Pennsy altho looks like they are pushing a weapons ban. That's the first somewhat sensible response I've received in 1 month of searches, visiting NJDOJ, State Police, forums, YouTube, reading, etc. there is NO mention of NJ BB, it usually gives me a lot of NY or Cali info. I am probably going to get the new BB with the three way set screw ( normal, BB, Locked, 23.95 ) and hope it passes muster. Either way ...it's a fixed mag so the evil features should be nullified. May still do the dynacomp but if its a fixed mag guessing I don't need the weld/pin. And Ca is already 10 rd max so that's all I have. 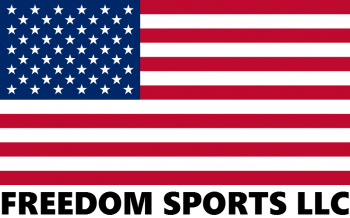 Sell the rifle you have now in California and buy a NJ compliant rifle when you get here. Solves all of your problems with transportation, shipping and what features are allowed. Plenty of FFL dealers on here that will hook you up when you get settled in. Why? He is happy with bullet button and would rather have other features. that is not how the law is worded in NJ and this is why bullet button is a no go..
the ONLY way around this is to somehow make the magazine a permanent part of the lower.. and a bullet button does not accomplish this..
this is the reason you do not hear about BB in reference to NJ.. because its not relevant in NJ.. because the lower can still accept a detachable magazine..
What about an SKS that can accept a detachable magazine? A bullet button makes the magazine no longer detachable. If the law was read that way then 30 round magazines blocked to 15 wouldn't be legal either because they can accept 30. Also Mauser K98 Trench Mags wouldn't be legal either because they can be used in a MG14. a 30 round mag that has been BLOCKED to 15 is NOT legal..
capable of holding more than 15 rounds of ammunition to be fed continuously and directly therefrom into a semi-automatic firearm. A large capacity ammunition magazine that has been permanently altered so that it is not capable of holding more than 15 rounds of ammunition will cease to be defined as a "large capacity ammunition magazine." An ammunition magazine, which has been temporarily blocked or modified from holding more than 15 rounds, as by a piece of wood or a pin, is still considered to be a "large capacity ammunition magazine." an SKS with detachable mag is ILLEGAL in NJ..
the law has nothing to do with the magazine being detachable.. the law has to do with the firearms ability to accept a detachable magazine..
my recommendation to you is to not rely on a bullet button to make the gun not "able to accept a detachable magazine".. to my knowledge there are no rulings on this in NJ... and you run the potential of being the test case.. the test case in front of a court full of people unfamiliar with guns.. OR even bias against guns.. especially with the current anti gun mindset so many people have..
take the standard path that most in the state follow.. permanently attached brake (not hider)... pistol grip.. fixed stock.. and call it a day..
Is anyone actually happy with a bullet button? ...............Anyone? I think he's just trying to offer options capt. 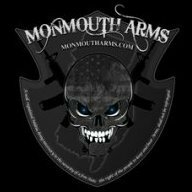 By the time you add shipping, modifications and potential FFL fees it might be more cost effective to sell the gun in Cali and but a NJ compliant one here. a 30 round mag that has been BLOCKED to 15 is NOT legal.. "Large capacity ammunition magazine" means a box, drum, tube or other container, which is capable of holding more than 15 rounds of ammunition to be fed continuously and directly therefrom into a semi-automatic firearm. A large capacity ammunition magazine that has been permanently altered so that it is not capable of holding more than 15 rounds of ammunition will cease to be defined as a "large capacity ammunition magazine." An ammunition magazine, which has been temporarily blocked or modified from holding more than 15 rounds, as by a piece of wood or a pin, is still considered to be a "large capacity ammunition magazine." Actually you answered a questions i didn't ask. No kidding an SKS with a detachable mag is illegal. However an SKS can take a detachable mag. In in reality the SKS and FN-49 are both detachable with a bullet, but aren't considered detachable. Any other questions? Also there is no such thing as permanently altered unless you cut down the height of the magazine. So under that thought process all 15/30 magazines are illegal. The process of altering magazine to 15 rounds is reversible but not easily reversible. Just like a bullet button mod especially one with lock is not easily reversible. Yeah, bullet button is not bad...really only takes a magnet over the button to eject the mag, or anything pointy...it's not perfect but it was legal (when I bought it....) and I love the gun. What I don't like is how these politicians ( the same ones that are now writing legislation that would excuse them from sexual assault claims because 'peoples careers are at stake'...not mine, the local baker, the school teacher whose life is ruined by any accusation...but only the mighty politicians.....the same people who write bills, pass them, gut them, and replace with anti 2a laws...how is this legal???) keep changing the definition to suit their personal agendas. I can replace it if I do a featureless but I don't really like the finned grips, etc...here you have to do basically everything, which makes it not an AR IMO. the rules are written in an intentionally vague way to encompass as many things as possible.. it literally says "can accept a detachable magazine" this is not something I am making up.. or giving my opinion on.. if the gun.. is semi auto.. and can accept a detachable mag.. it is covered by those guidelines..
it is how it is written..
in NJ.. I would not rest my freedom on that making the gun "not able to accept a detachable mag"
I absolutely agree...that's why I'm here. The laws are vague in many respects and that's done on purpose, IMO. I agree that the dynacomp/stock lock are the safest. In Ca., at least they are definitive in their wordings. there is no 'ability to accept'...so the ARMAGLOCK, and all other 'temporary' magazine locking mechanisms with rear pin devices, are legal. You break the upper, the mag drops, insert a new mag, close the upper. Fixed mag is not the same here as 'ability to accept'... using ejection port reloaders is popular, and actually faster than a mag switch but I'm sure they'll change that as well...Thanks for the input. All SKS can accept a detachable mag and all SKS mags can be detached. Also I posted what about an SKS that can accept a detachable mag not one with one. Lol back to you. correct.. I am aware that the california wording is more clear.. and that is why BB works..
All SKS can accept a detachable mag and all SKS mags can be detached with a bullet. then they are assault weapons per the way it is written..
how they detach is not within the scope of the wording..
there is documentation available.. and it is easy to follow if you choose to.. When you find the documentation regarding bullet buttons then I will agree. For now I disagree. For the intent of the law was to limit firearms where the magazine detached. Just like some who will argue a loaded magazine is a firearm. Until a ruling has been handed down a loaded magazine separate from itself is just a magazine. Also since an SKS and FN-49 are semi autos that their magazines can be detached the SKS with bayonet and flash hider or grenade launcher should already be illegal, and the FN-49 will be illegal under the new AWB since they all have bayonet lugs. What is the definition of a detachable magazine in NJ? Where is this official policy of selective enforcement to the way the law was written? there is no definition of "detachable magazine" as far as I am aware.. but read the wording clearly.. it does not say anything about the ability to remove the magazine from the firearm.. it only states that the matter of concern is if the firearm can accept the magazine..
generally when wording is not clearly defined.. common definition of words would be observed..
able to be removed or separated from something. a chamber for holding a supply of cartridges to be fed automatically to the breech of a gun. notice there is no reference to amount of effort.. or tools required.. a NON detachable magazine would be a magazine that is part of the gun.. OR a magazine that you modify to be part of the gun.. and since there is no legal definition of an acceptable way to do this.. an AR15 with a BB.. 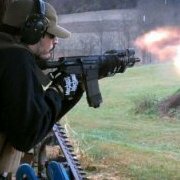 STILL can accept a detachable magazine..
because.. you can put "a chamber for holding a supply of cartridges to be fed automatically to the breech of a gun, that is able to be removed or separated from something" into the gun..
again if you disagree.. or are willing to take the chance.... no problem go for it.. but in NJ.. unlike CA.. there is no legal standing for making that assumption..